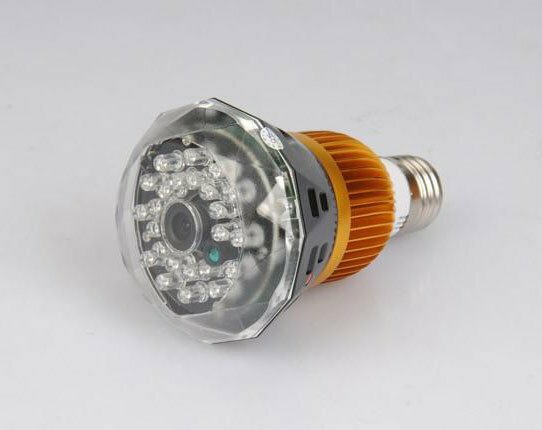 New remote-controlled T7 SPY hidden camera in bulb with 120 ° viewing angle + night vision function, Sound control and motion detection. 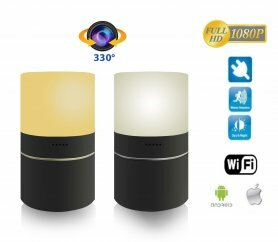 HD Spy Camera in the lamp + IR + motion detection + sound control. 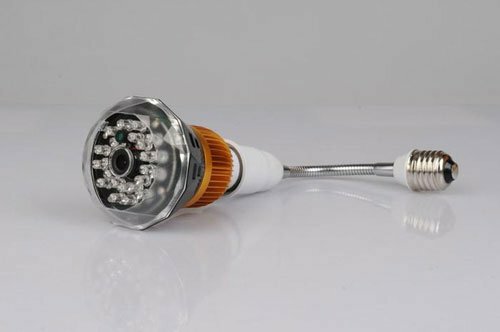 New remote-controlled T7 SPY hidden camera in bulb with 120 ° viewing angle + night vision, function Sound control and motion detection. Product in HD resolution (1280x720) and 30 frames per second. The camera has a remote control. It also has an external memory TF card. Yes, camera is powered 220V from light socket. 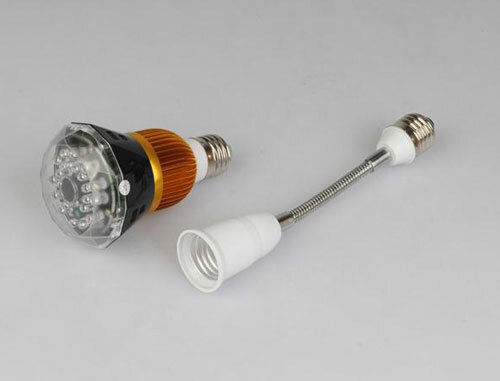 Will this fit US Standard E27 light socket? The camera works with both light on and off. Yes, we also deliver to India. 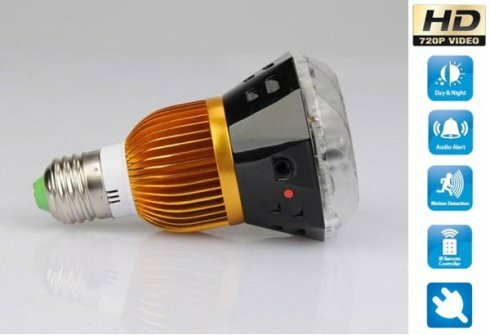 The Light and video recording is work in same time ? Hi, yes its possible. But you can turn on/off the light with remote controller. It also has infra-red night vision and can automatically switch between day and night mode. 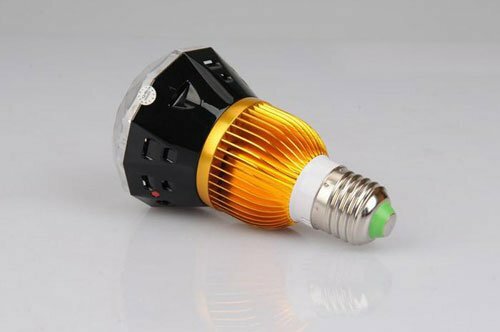 Is this feature for lighting led bulbs or for video recording ? 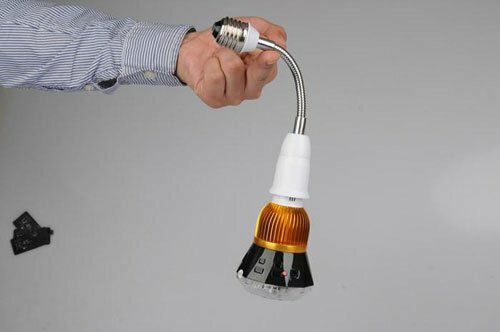 Yes it has IR LED which can turn on manually or automatically depends on lighting conditions. 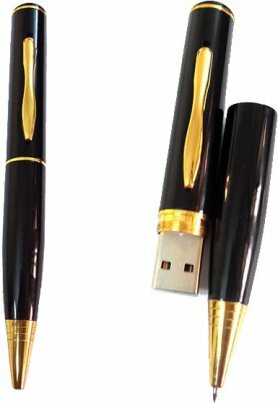 Hi, not its only for indoor use. Hi, it is powerred permanently after is screwed into fitting right. So you do not need to worry about battery life. 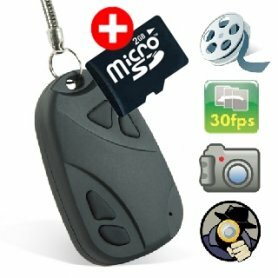 Hi, I want to know if there is an app for android in order to control de camera or light remotely instead of using the remote control. Also I just need to confirm if this product has push or email notfications.